Here’s another minimal synth classic that I believe has disappeared from the blogosphere, but also wasn’t ever shared in its complete form, as far as I can recall. You can still hear this track at various clubs across the globe, and it was certainly in regular rotation in my own sets over the years. It also begs the question- who the hell is Christine and why does she have so many songs written about her? 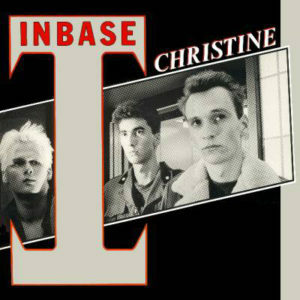 Inbase was a studio project between three German musicians, Andreas Von Holst, Stefan Telegdy, and Herbert Böhme. They recorded this classic single in 1984, chock full of stabby guitar liness, driving electronic drums, and synth hooks at every turn (fans of Xoris Perideraio’s “48 Siopes” or Cinema 90’s “In Ultra Violet” should love this one, too). The single did fairly well at the time, garnering a pantomimed appearance on a German television show (linked below), but I don’t believe the trio ever performed live or recorded any further material together. Böhme would go on to record under several different monikers into the 90s, while I believe Von Holst is still active in Die Toten Hosen (under the name Kuddel), a punk band he joined in 1983. Otherwise, sorry for slacking! I have a bunch of new, unheard posts in the works, a new various artists compilation, as well as a few re-rips of classics from my own personal collection to keep us busy for the first part of the year. So with that in mind, let’s kick the year off with a minimal synth classic that I believe was posted before by the great BX, but has disappeared since. I came across a cheap, sleeveless copy of this one in a dollar bin here in NYC, played it once or twice at WIERD, and promptly forgot that I had it until recently, when reorganizing and digitizing my 7”’ collection. This one is a tried and true killer, a bizarre electronic romp from 1984 with thick synth bass, disco strings, and eerie female vocals. The best analogy I can think of is dystopian disco- the kind of dance music that you’d dance to in Blade Runner or Logan’s Run, for example… The chorus is especially killer, and pays off in spades (human is so humorless- love that line). Fans of JYL/Angela Werner should also love this one. The b-side is equally stunning, a more unsettling synth track with a flamenco flair and backwards masked vocal samples. 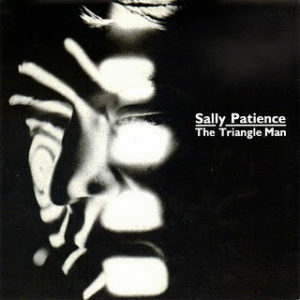 This is the only single Sally Patience released, and no one knows what happened to her afterwards… Just a brief moment, as some of the best gems tend to be.